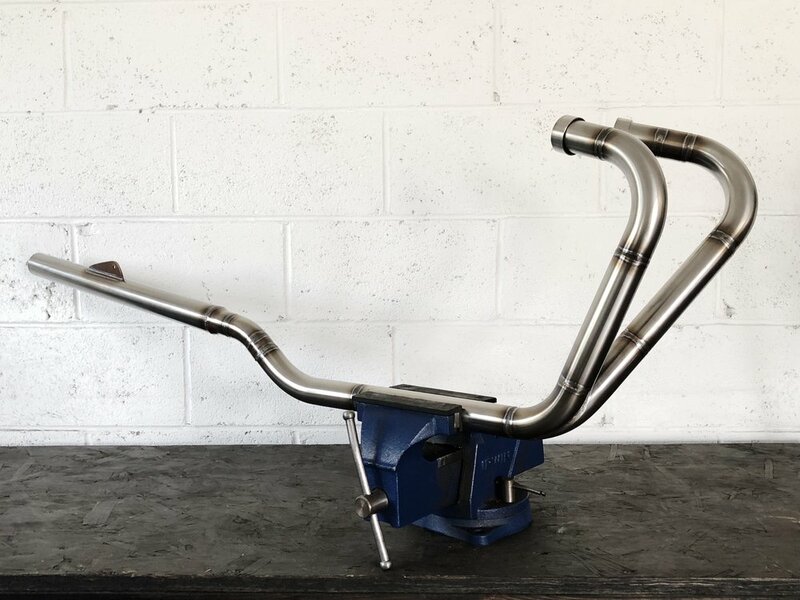 I've built a couple custom T304 stainless exhaust systems lately for CB360s. Here's one with a straight pipe style rear. The pipe diameter actually steps up .25" to house a secret 9" glasspack baffle. It'll sound and run better without sacrificing the straight pipe look the customer wanted. The bike pictured is just a loaner for mock up purposes. This one's heading to Florida.